The result is a lean, flavorful bird whose succulent white meat mimics the richness of darker pieces. 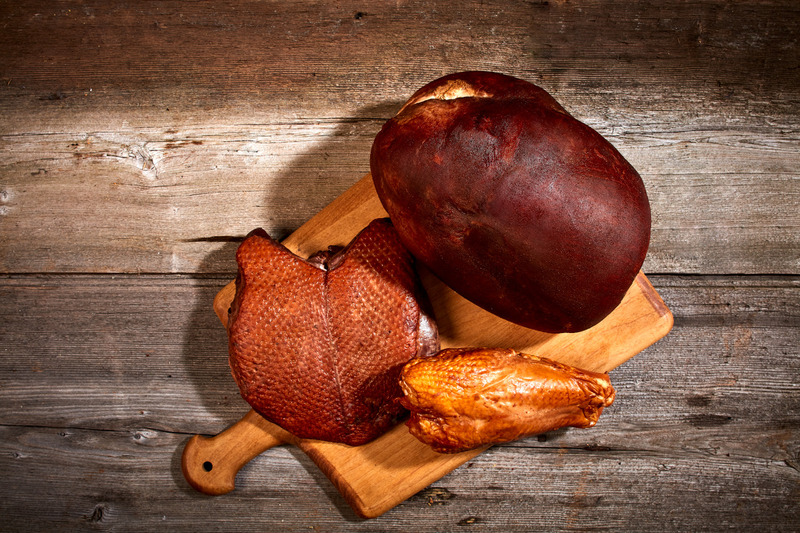 These fully cooked smoked products can be enjoyed all year round without spending hours in the kitchen. Oven roasted and sweet applewood smoked, this tender turkey does not containpreservatives, nitrites or nitrates and is minimally processed. Our plump, broad-breasted chickens are marinated in an old-fashioned brown sugar cure to enhance the meat's natural sweetness, then slow-smoked to perfection in small batches over applewood fires. The result is a lean, flavorful bird whose succulent white meat mimics the richness of darker pieces. Our poultry products are best served at room temperature for it is fully cooked or may be warmed slowly in oven for incomparable buffet or main course flavor. Place unwrapped item in a heated 325 oven. Heat 12 minutes per pound.